The female’s color is predominantly as dark slate as the India Blue. The neck has a tint of green. There is a patch of white under the lower mandible on the neck. 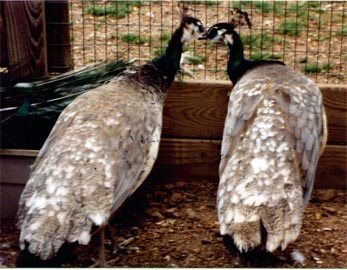 The upper and lower back color changes to a silver gray with the lower back and tail feathers being a distinct silver with white tipping.